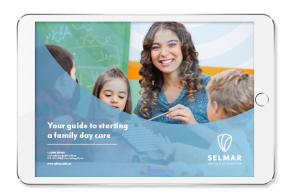 Getting qualified with Selmar opens up an exciting variety of child care career possibilities! Whether you are looking to work full-time, part-time or from your own home, the child care industry has something for you. Explore some of the options below or contact our course advisors on 1300 223 040 to find out more. Selmar now offers a pathway to uni at Swinburne Online via credit exemption! This role is a broad term for an individual who is qualified in early childhood education, working with children from birth through to school age. Your position may be in a child care centre or similar, but this job title can apply in many professional child care settings. Through play-based learning you will guide children to learn about the world around them as well as basic literacy and numeracy. Recording children’s progress is also a part of the role, to ensure the National Quality Standard is upheld. In this role in a child care centre, your hours can vary depending on the facility’s opening hours and the shifts you are rostered for. This means the work can be flexible and fit in with your life. You may seek work in a full time, part time or casual capacity – all of this are common for early child care educators. As an early childcare educator you will spend your time shaping the lives of young children in your care! Working with children during these vital developmental years is very rewarding, as you play a role in their lives as they discover the world around them. Through your role you’ll relive some of your favourite childhood books and get creative with paint and craft activities. Children at this age can have interesting and often hilarious ideas, so you’ll make some very special memories. There’s never a dull moment working as an early childcare educator and in a child care setting there is lots to do to keep you busy and having fun. Provide the highest level of care for children from birth to school age. Employ a working knowledge of the National Quality Standard and Early Years Learning Framework. Maintain records of children’s ongoing development and time in your care. 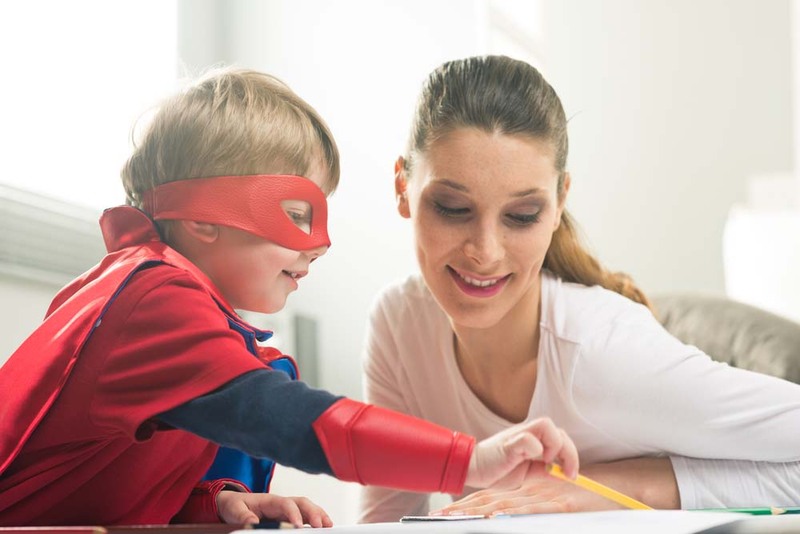 When you think of being a nanny, Mary Poppins might come to mind… Spoonfuls of sugar aside, being a nanny typically involves working personally for a family to take care of a child or children in their own home environment. Your daily tasks will depend on the age of the children in your care and the family you work for. The role may involve getting children ready and off to school in the mornings, taking care of babies and in some cases helping out with homework or some household duties. As a nanny, you might work full time, part time or occasionally. In fact, the hours can be anything from a couple of hours a week to full-time, including overnight. It’s all about finding a family that suits the work/life balance you’re after. Being a nanny can be like becoming a part of another family and in many cases the children in your care create strong attachments to you and you to them. Watching as children develop can be highly rewarding as you see them singing songs you’ve taught them or counting independently after helping them practice. For some, a live-in nanny role can be a lifestyle choice that suits and isn’t widely available in other jobs. For those who are passionate about working with children and creating close bonds, being a nanny is the ultimate role. General child care requirements such as feeding, playing, nappy changes, dressing, settling for naps, maintaining activity schedule and supervising. Depending on the family, household duties may be required including washing, shopping, cleaning and cooking. In the year before children start school they attend kindergarten – this structured, play-based year is also known as pre-school or 4-year old kinder. You might be employed at a government kindergarten or at a privately owned centre that runs a registered kindergarten program as well as child care services. A position as a Kindergarten Assistant is a branch of the role of Early Childcare Educator. Similarly, you will uphold the National Quality Standard and Early Years Learning Framework. As a Kindergarten Assistant, you will predominantly work with children around the ages 3 to 5-years old, guiding them towards school readiness. Ensuring children are adequately prepared to commence their formal years of education is vital for their futures. As a Kindergarten Assistant, your time will be spent shaping the lives of the young children in your care and helping them learn in the lead up to commencing formal primary education. You will have the responsibility and privilege of embedding a lifelong love of learning in children. This can be life-changing and makes your job one that is incredibly meaningful. Kinder aged children can be fast-paced, so your role will keep you on your toes and give you the chance to have a positive impact on young lives just as they move on to the next big chapter in their lives. Aiding this transition is highly rewarding. Focus on school readiness in children and preparing them for formal primary schooling. In a family day care setting, the care is provided from the educator’s own home. This is a great opportunity to work from home, giving you the flexibility to choose your own hours. As a family day care educator, you will be responsible for providing a care environment that meets the required standards. You will deliver a high quality, developmentally appropriate program to the children in your care. At the same time, you will create positive relationships with children and families and offer a highly sough after service to your community. 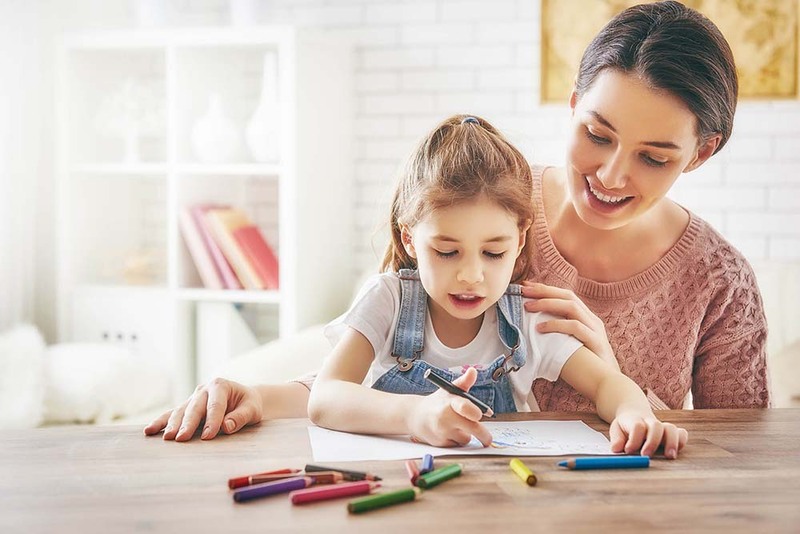 Family day care educators who are parents can include their own children in their care, and the demand for family day care services is increasing, making this a highly desirable career option. When you’re running family day care from your home, you can say goodbye to the morning commute in peak hour traffic. No more early alarms and rushing about – your whole family will benefit. You can choose to offer as many or as few hours of care as you would like. As you will work closely with families who utilise your family day care services, you can make arrangements with them that best suit everyone. A huge aspect of the role of a family day care educator is to nurture and guide children as they explore and learn, making this role a fulfilling one. Deliver a high quality, developmentally appropriate program. Maintain a safe care environment. Find out more about running a family day care, its rules and regulations, and download our handy FREE eGuide here.